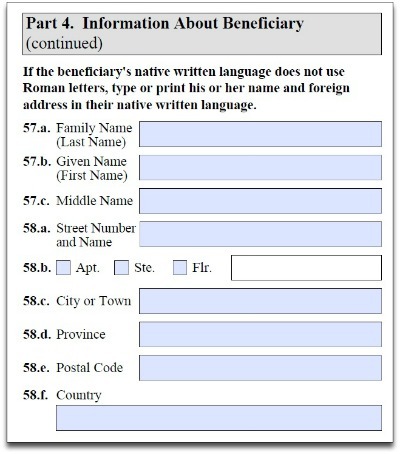 In Part 4 (Items 57-58) of Form I-130, Petition for Alien Relative, the instructions ask the petitioner to type or print his/her relative’s name and foreign address in their native written language if that beneficiary’s native written language does not use Roman letters. 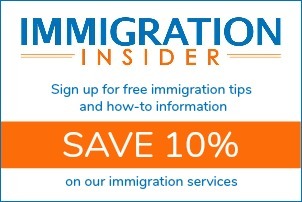 For example, a beneficiary from China or Saudi Arabia might use non-Roman characters when writing. In these cases, the petitioner should write out the name and address of the beneficiary. Alternatively, the petitioner may forward the document (by mail or email) to the beneficiary so that the beneficiary can complete Items 57-58.